ABA is a scientifically validated approach to understanding learning and behavior by looking at the function of the behavior and the environment in which it occurs. Anything a person does is a behavior (talking, eating, coloring, tying shoes, etc.) and ABA looks at the purpose behind those actions and under what circumstances they occur, in order to change them or teach new, more functional ways of doing something. For example, if a child screams when eating lunch, ABA would look at the environment around him to determine why he is screaming and then determine what would be a more appropriate way of getting that same thing. The principles of ABA have been applied since the early 1960’s with both children and adults with developmental disorders. Today there are a wide variety of ABA techniques that have been developed to help learners develop and build functional skills. ABA is the only therapy that has been endorsed by the U.S. Surgeon General as an effective treatment for autism. ABA is also endorsed by a number of other federal and state agencies. The United States has seen a dramatic increase in the use of Applied Behavior Analysis to help those with autism live functional, productive, and happy lives. 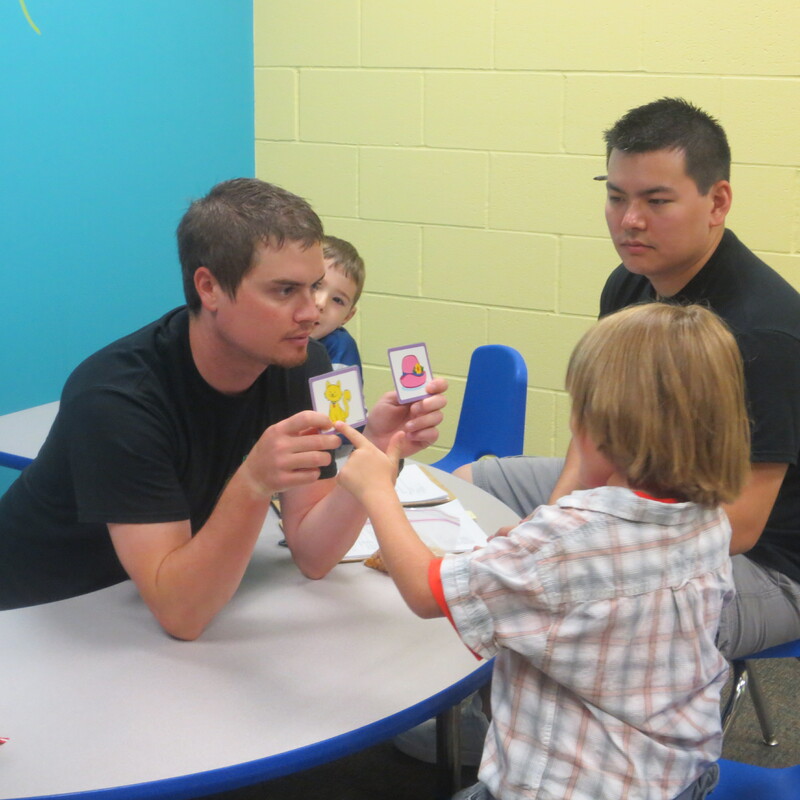 Lighthouse Autism Center utilizes ABA principles and a Verbal Behavior (VB) approach to programs. This approach focuses on the function of one’s verbal speech, what need it meets for them, rather than how it looks. The VB approach to language development was initially developed by B.F. Skinner and described in his publication Verbal Behavior, in 1957. Using this VB approach is gives the team a way to functionally teach essential language skills in a systematic way. ABA therapy at LAC is conducted in a 1:1 setting (1 therapist working with 1 child). Each child goes through an in depth assessment conducted by a Board Certified Behavior Analyst (BCBA) and other clinical team members to determine their current skill set and what skills might be improved upon. Parents are an integral part of the assessment process. 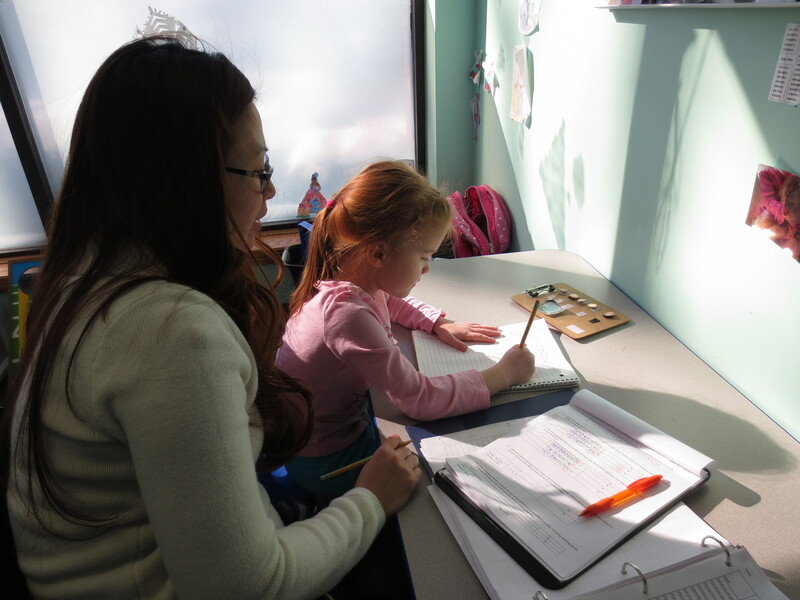 You input is vital and integrated into the individualized therapy program, designed specifically for your child. LAC is a team and the family unit is an integral part of making our team work! One of the reasons ABA therapy is so effective is that it systematically looks at the basics of learning and then builds upon them. The therapists and clinical team look closely at the skills your child has and needs to work on, building a plan tailored to their needs and learning style. Our therapists look at your child’s needs, skills, interests, preferences, and family environment. This means that the ABA program that your child is following will look different than the program of another child. Goals are determined based on this plan and once a goal is met, the team moves on to the next step. It’s all about breaking things down into teachable steps, and then building on them to make your child as independent as possible. For example, if the team determines that an appropriate goal for your child is to tie his/her own shoes, they might start with going and finding his/her own shoes. Once that it mastered, it will be find them and put them on independently. Following that, the next step might be to cross the strings. This would continue until the child is independently completing all steps of the show tying process. These steps will be different for every child, but the concept is the same, start at the beginning and build from there. The instructor will use a variety of different behavior analytic techniques, some will be directed by the instructor and some will be initiated by the child. At LAC, your child’s day is very structured to provide many learning opportunities – these are both planned and naturally occurring. This allows the child to acquire and practice skills in both unstructured and structured situations. This allows for your child to learn how to generalize the skills they learn with us into their everyday lives. We also work with families on training and transferring skills into the home setting.